Not every video game announcement gives us hope for a franchise’s future. Some of them show that a franchise might be going in a direction that it just wasn’t made for, and then there’s the announcement of Metal Gear Survive. Announced at Gamescom 2016, Metal Gear Survive is the first Metal Gear game made after Hideo Kojima (the creator of the franchise) left Konami. Kojima’s leave was both preceded and followed by controversy and strife within the company, which resulted in Metal Gear Solid V: The Phantom Pain being an obviously unfinished game. Metal Gear Survive’s trailer shows us an alternate universe, but it isn’t a positive one for the game’s protagonists- or Metal Gear fans. You can watch it below, but be warned: there’s some major spoilers for Metal Gear Solid V at the start. As the trailer shows, the game is set after an alternate take on the events that happened at the end of Metal Gear Solid V: Ground Zeroes. After a helicopter crash, the game’s protagonists end up stranded in an alternate universe, which just so happens to be populated by crystal zombies. The trailer shows the rag tag team fighting off the beasts, as well as heading towards the ruins of Mother Base. As for the actual gameplay itself, it seems to be a four player co-op stealth game. It’s an interesting concept, and hopefully the game’s developers will build off the better parts of MGSV for it. The game is also the third game to run in the FOX Engine, with the other two being Ground Zeroes and The Phantom Pain. Being positive isn’t always easy, and it’s fairly difficult to be that way with Survive. 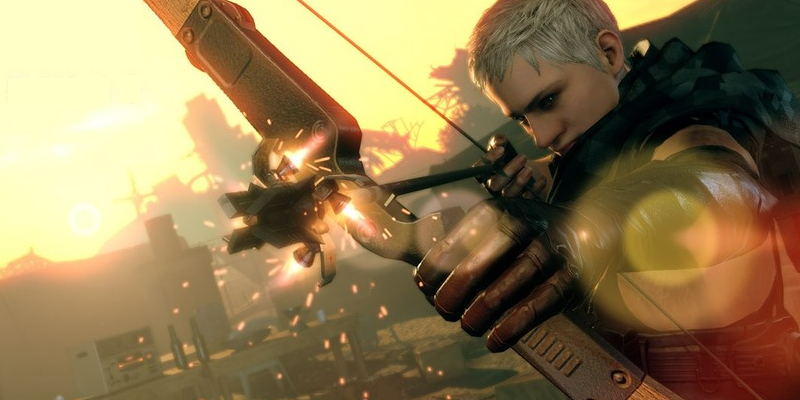 Konami’s recent track record of ending franchises on less than stellar notes is worrisome, and it feels like the franchise – if it continues – will be completely lost without Kojima. However, it could be fun. It’s built on two games with a solid core, so it already has that going for it. Here’s to hoping that what might be Metal Gear’s last hoorah is good. Metal Gear Survive is coming in 2017 for the Xbox One, as well as PCs. Are you a Metal Gear fan? What do you think about Survive? Let us know in the comments below!